Registration is restricted to local, tribal, state, federal, and military law enforcement or corrections officers, non law-enforcement members of crisis negotiation teams, or other individuals directly supporting law enforcement activities. Downed Officer Kit Training Program is an 8-hour block of instruction designed to familiarize law enforcement personnel with the usage of the Downed Officer Kit (DOK). The course curriculum includes an overview of Tactical Casualty Care (TCCC), basic medical terminology, anatomy/physiology as it relates to Tactical Emergency Medical Support (TEMS) Individual First Aid Kit (IFAK), Airway Management, Chest trauma and Advanced Bleeding Control procedures including the latest in TCCC application. The course combines classroom learning and hands-on skill stations. Scenario assessment stations enable you to put your learning to work in simulated trauma situations. This course can be tailored to agency-specific needs. Lessons learned on the battlefield can be extended into civilian practice, particularly law enforcement. It is our hope to share our combat experience to enhance the peace keeper and peace officer relationship. 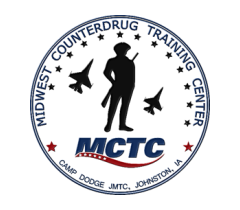 Downed Officer Kit Training Program is an 8-hour course.